At the 6th of February 2018, the International Day of Zero Tolerance for FGM/C, UNFPA Regional Office for West and Central Africa (WCARO) published a study I conducted for them in 2017. 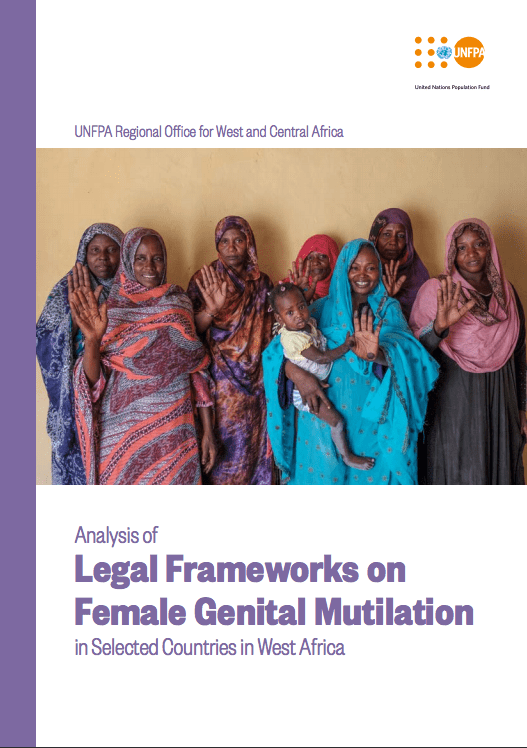 This report is an analysis of legal frameworks on FGM in several countries in West Africa (including Burkina Faso, the Gambia, Guinea, Guinea-Bissau, Mali, Mauritania, Nigeria, Senegal and Sierra Leone). I am very excited that this report is (finally!) available for everyone. My report demonstrates that laws against FGM can be effectively enforced, and work to prevent the practice from continuing. Laws also bring those who continue to practice FGM to justice, and end impunity. The study also gives a detailed overview of the recommendations made to governments by treaty monitoring bodies (TMBs) and during the Universal Periodic Review (UPR) regarding legal and policy frameworks on FGM. This publication contributes to ongoing advocacy for the development, enforcement and review of effective legislation on FGM, and for the social change that needs to accompany laws and their enforcement. It is intended to serve as guidance for legislators, parliamentarians, lawyers, judges, prosecutors, police, ministries, Government officials, human rights advocates, policymakers, and all others involved in laws, programmes and policies that address FGM. This study serves as a reference for those wanting to examine and compare the different legal frameworks in place in the selected countries. My study also lays the groundwork for further in-depth research and analyses at the country level on law implementation and legislative review, and the social change that should accompany them.